HAPPY GANESH CHATURTHI TO ALL..
Memjet, a global leader in color printing technologies, today announced the Sirius-12G compact color print engine sub-system developed for OEMs in need of creating a compact, cost-effective printer that easily integrates in to their media handling systems. Memjet’s Sirius print engine facilitates printhead maintenance without the need to break the plane of the media, enabling a wide range of applications including label printing, package printing, mail processing, and print-and-apply labels in product manufacturing operations. Sirius empowers OEMs to design printing solutions with greater control and flexibility. For example, the above the web configuration enables more efficient printhead cleaning when roll-to-roll printing, so that a pause in a print job does not require the web to be cut. Sirius-powered printers are able to move the print zone up and down to accommodate varying material thickness such as stuffed envelopes or board stock. This offers a greater range of media handling options for unique applications. The Sirius-12G color print engine is available with the print mechanism assembled or separated into core components. When delivered as core components, OEMs can leverage Sirius as a development kit of components to be integrated based on specific needs. In addition the ink delivery system is highly flexible and compatible with a wide range of ink supply cartridges, including customer specific solutions. The Memjet printhead features over 70,400 nozzles that deliver millions of ink drops every second. The page-width printhead provides 1,600 dpi native print resolution in full process color (CMYK). Speeds are 12 in/sec in standard-quality (1600x800 dpi) print mode and 6 in/sec in premium- quality (1600x1600 dpi) print mode. (This never states that the PH is 220mm, 8.77” long). Memjet-powered printers are sold only through authorized Memjet OEM partners. In the business for over 49 years, Hally Labels is one of Australasia's leading label manufacturers, providing its customers with an unmatched range of labelling solutions. With five manufacturing plants based in New Zealand and Australia, Hally Labels uses leading edge flexo and digital offset technology to provide innovative labelling solutions to broad range of markets. With an unmatched range of materials, inks, coatings and special finishes that are ever evolving, Hally Labels can create tailored solutions to solve even the most difficult challenge. Variable data labels are now a large part of Hally Labels’ product range, with seals and tags used by the food industries throughout the region for traceability, brand protection and anti-counterfeiting requirements. This in turn places new demands on the production processes. Typically every label in a traditional print run is identical, with overall print quality, registration and die cut accuracy the key inspection criteria. Traceability labels are by their nature, unique. While the same inspection requirements exist, each label carries a unique serial number, manufacturing or region code, or other traceability features using OCR, 2D, QR and linear barcodes. It is imperative that there are no duplicates; imagine the same product arriving in two different locations with the same serial number, or an unreadable serial record. The penalties for label integrity errors are significant, and therefore customer satisfaction, liability and ultimately the profitability of a print run rely heavily on the equipment and technology used during the printing process. Working with both customer requirements and government regulations, Hally Labels fully understands the expectations for label data integrity, and has invested heavily in the equipment necessary to meet these demands. Initially a series of inkjet heads were mounted on a Gallus EM280 label press. Driven from a sequential print file, these inkjet heads provide up to five lanes of serial numbering in an OCR font. Data file management ensures the same data file is never repeated, however production errors on the press were harder to capture. Blocked or failed inkjet heads may not be identified for some time, leading to high reprint costs, production delays, and increased wastage. In addition minor drift on the web can lead to missed inkjet “print go” sensors, and subsequent blank labels. These may be difficult to detect at the rewind and slitting stage if they are buried within a roll. A simple camera inspection system was therefore added to the press, however this proved unreliable. While ensuring ink was present on each label it failed to check the code was readable, and suffered the same web drift issues as the ink jet heads. It was clear that a more powerful inspection technology was required. Nick Keats, Operations Manager at Hally Labels’ Christchurch, New Zealand plant started to evaluate the options on the market. It became clear that the traditional web inspection system suppliers can offer high performance print quality inspections solutions, comparing each label with an original “golden” image to monitor colour, registration and general print quality. In these scenarios print faults typically develop and trend during a print run and a one off “single” error is unlikely. The issue with any traceability label however is its uniqueness and the risk and consequences of an individual error. Therefore another approach was required. After reviewing a number of potential suppliers Nick approached Lake Image Systems. Their reputation is built on years of experience supplying vision solutions to the print and finishing industry for variable data inspection applications, and they instantly recognised the issues that were critical with the application. Using high resolution line scan technology, integrated on to the Gallus press just after the inkjet heads, the Lake Image Discovery system can scan the entire web width at full press speeds and perform a series of inspections on each label. While these can include various print quality inspections, they also include powerful OCR and code reading tools. Each label can be read and compared to the print file to identify incorrect, missing or bad print in each individual label. An audible and visual alarm is then used to alert the operators. A combination of encoder and trigger sensors can identify any errors caused by web drift, and ensure the press cannot be run without the inkjet heads operating correctly. 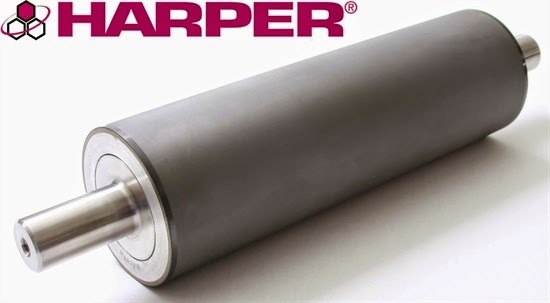 Global anilox roll supplier Harper Corporation of America will host its final 2014 Harper road-show event in Springdale, Arkansas, on October 14, 2014. This one-day seminar will bring together leading experts from throughout the flexographic industry to share the latest developments and advancements in technology. Offering a broad range of topics, this free seminar will have presentations that appeal to professionals in all facets of industry including pre-press and print managers and supervisors, graphic designers, purchasing staff, general managers, and ink, plate, and pre-press suppliers and operators. Attendees will learn how to improve the short-term success of their business and ensure operations are running as efficiently and competitively as possible. There is no charge to attend this event, but seating is limited, so interested individuals are encouraged to register as soon as possible to secure their spot. Online registration is available at http://www.harperimage.com/roadshows/Springdale-AR/456. The event will be held on Tuesday, October 14, 2014, at the Holiday Inn & Convention Center in Springdale, Arkansas. Harper Corporation of America is excited to have the opportunity to connect with professionals within the industry and keep them up-to-date with valuable information to enhance their business. Trade shows, especially Labelexpo Americas, are venues where visitors come to learn about new equipment and technologies, with an eye towards bringing back solutions that can improve their companies’ bottom lines. With this in mind, visiting Codimag’s booth #5803 is a must. Codimag incorporates a combination of press technologies that delivers short-run printing that is more profitable than digital and faster than flexo. 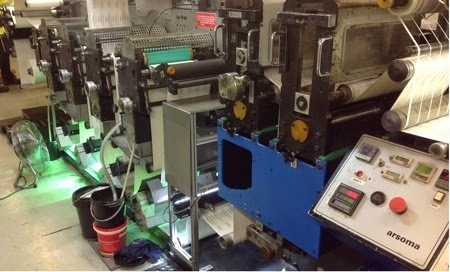 Unique features include intermittent-feed presses that allow format changes to be done without changing any cylinders, and Codimag’s Aniflo technology, an anilox-based waterless offset inking system. Intermittent feed presses and servo control of web motion enable short makereadies, low waste, and high productivity. The only job-specific component to change is the plate, which can be mounted quickly onto the press without any tooling. Pre-register positioning is done electronically and displayed at each unit. No plate cylinders to changeover; no die cylinders to changeover; no stickyback; no impression setting. Codimag’s Aniflo technology is truly unique. It uses four cylinders in the ink train (anilox sleeve, form roller, blanket, and plate rollers). Each has the same diameter, eliminating offset tinting and ghosting issues. The press uses paste waterless offset inks (available from common ink suppliers) and incorporates a patented heat control system that allows the operator to vary the temperature of the anilox. 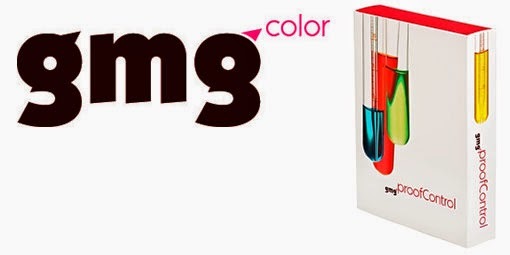 This is how the Aniflo controls color density: warmer temperature thins the ink, lowering the color density; cooler temperature makes the ink thicker to increase color density. There are no ink keys and ink-water balance issues to contend with as in traditional offset printing. Codimag offers these technologies in two product lines: the Viva 340 (13” web width) and the Viva 420 (16” web width). The Viva line offers combination printing capabilities including waterless offset, letterpress, and screen, along with the efficiency of inline converting processes (hot and cold foil stamping, embossing, lamination, flexo varnish, die cutting). Codimag’s patented hot foil unit includes a foil saver, but more importantly, uses low-cost magnesium plates (very cost effective for short runs). Codimag’s screen unit is semi-rotary and only requires one set of end rings and screens for all repeat sizes (eliminating costly tooling). To demonstrate its unique capabilities, Codimag will be the only press manufacturer at Labelexpo running live customer demos. Using Esko Equinox prepress technology, a proofer, a waterless CTP device to image the plates, a plate washing system, and the Viva 340 Aniflo press, Codimag will take a customer file, produce printed labels, compare color to the proof, and show cost comparisons to digital and flexo – all in less than 40 minutes. Tower Products, Inc., the leading manufacturer of environmentally sensitive pressroom chemistry for the graphic arts industry, will be exhibiting its full line of pressroom products for flexographic and offset printing at Labelexpo Americas 2014. Tower Products will be located in Booth 5219. According to Mark Principato, Product Sales Specialist, this will be the first time that Tower Products Inc. has exhibited its full line of SmartFlex flexographic pressroom chemical products at a major industry trade show. Principato commented that Tower will introduce a new UV cleaning technology (SmartFlex UV Flexo Cleaner) at the show, addressing the growing need for more efficient cleaning technologies for the label and narrow web industry. Color-Logic-developer of the Process Metallic Color System--has named Parker MacDonald its sales representative for Ontario, Quebec, and the Maritime Provinces of Canada. Announcing the appointment, Color-Logic Sales and Marketing Director Mark Geeves said: "Parker MacDonald brings Color-Logic extensive experience in the Canadian graphic arts market, with previous positions at AGFA and Ernest Green & Sons serving the offset, flexographic, wide format, and sign industries. Parker enables Color-Logic to better serve the important eastern Canadian market and we are pleased to welcome him to the Color-Logic family." Label Traxx, the label industry’s job management software specialist, will unveil Version 7.1 of its industry-leading MIS system at this year’s Labelexpo. Taking place September 9-11 at the Donald E. Stephens Convention Center in Rosemont, IL, USA, Labelexpo Americas is the premier event for the label printing industry. Visitors to Booth 6023 will have the opportunity to experience the beta model of Label Traxx Version 7.1 MIS software. 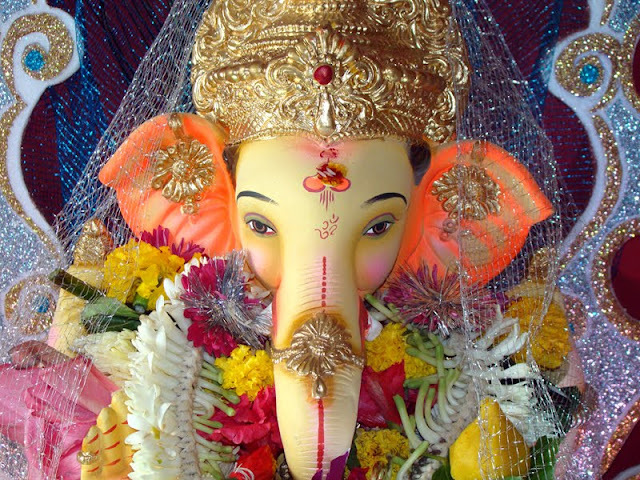 Version 7.1 builds upon the success and performance of Version 7, which uses the latest 4D database technology. For this latest update, Label Traxx is focused on advancing the “paperless office,” with a new external document system that can store multiple document types, including PDF, .MOV, .DOC, .XLS and others. The storage system has been added to all areas of the program for storing the paper trail, proofs, ISO and other information. Also new to Version 7.1 is on-screen backup verification, where users can view from the Home screen the last successful backup. If a backup is not complete, an email notification is sent, thus assuring users that data is backed up in case of emergencies. When updating its MIS software, Label Traxx takes into account the feedback received from those who can provide the most practical insight – the software users themselves. “Version 7.1 improves upon Version 7 by integrating what our customers have said will increase their efficiencies – going paperless. And our new storage and back-up systems provide peace-of-mind, insuring no losses of data,” says Label Traxx President Ken Meinhardt. “We’re really excited about Version 7.1, and Labelexpo is the perfect forum to show the industry how the latest Label Traxx software is the ideal tool to help label companies run in the most efficient and profitable ways,” concludes Meinhardt. Now in its 21st year, Label Traxx is headquartered in Milwaukee, WI, USA, and has sales offices in the UK. Label Traxx also has resellers serving Australia, Brazil and Singapore. Esko, market leader in packaging design and workflow solutions and Highcon, developer of the Highcon Euclid digital cutting and creasing machine, expand their cooperation with an OEM agreement. Highcon will distribute, install and support the Esko CAD Digital Front End (DFE) software as complement to the 2014 Must See'Ems award-winning Highcon Euclid. This combined solution is available immediately on a worldwide basis. Today, Esko's CAD software is already the standard for processing structural designs for production on the Highcon Euclid. It converts packaging structures to the finishing format required by the Euclid, which receives its CAD cutting and creasing information from ArtiosCAD prepared or converted DFX files. With the new OEM agreement, the Highcon Euclid now offers an on-board software tool, the Highcon Light Editor, that allows Euclid operators to take full advantage of the benefits of digital technology by editing crease and cut lines in the structural design of the job at the point of production, including the ability to incorporate last-minute changes. It also enables optimizing of nicks by increasing or decreasing their size or adding or removing them; and adding, removing or editing stripping lines. Colordyne Technologies (CDT), a leader in providing digital printing end-to-end solutions, will unveil its new 3600 Series press, the next generation in disruptive digital color printing, at Labelexpo-Americas 2014 in Rosemont, Ill. The CDT 3600 Series joins the Production Class family of digital print system solutions as a full-featured process color digital label and tag production system with an enhanced precision web handling system, powered by Memjet technology. The CDT 3600 Series provides the latest in proven closed loop tension control technology and is available with low cost inline finishing options and configurations. The innovative product also brings several benefits to the Production Class Digital Color Printing System including, but not limited to, enhanced print quality; increased resolution of 1600 x 1375 dpi; drastically reduced RIP times; speeds up to 225 ft/min (69 m/min); and a more user-friendly interface. The new CDT 3600 Series web handling system also provides flexibility and modularity for custom configurations and future faster speeds. "We consistently seek to provide our customers with the most precise and efficient products in the digital printing industry," said CDT President and CEO, Gary Falconbridge. "The CDT 3600 Series upgrade does just this as it brings new features and benefits consistent with our core value of providing the fastest print speeds and highest resolution at the lowest capital cost. We are pleased to partner with such a well-respected company on the enhanced web handling system, which makes this high-quality product the best on the market." CDT partnered with Paper Converting Machine Company (PCMC) on the new press, which features the PCMC-created web handling system. The new partnership with PCMC, a global leader in tissue converting, packaging, flexographic printing and non-wovens technology, reaffirms the high quality and high precision offered by the CDT 3600 Series. The cutting edge web handling system allows for digital upgrades and enhancements as they are available in the future to be implemented easily and cost effectively. This, in turn, protects and ensures customers that what they purchase today will not become outdated technology. Director of Sales for PCMC, Rich Rogals, said, "PCMC is excited to collaborate with Colordyne and provide our long established history and expertise in web handling, converting and line integration to the Colordyne family of digital products. By capitalizing on each company's core capabilities and strengths, the Colordyne offering becomes a highly productive and predictable digital solution for the end user." The CDT 3600 Series is available in similar configurations to CDT's existing Production Class platforms and is customizable to provide solutions for customers with unique application needs. Visit Colordyne's booth #6455 at Labelexpo-Americas to see the booth running live September 9-11th, 2014. Labelexpo Americas 2014 is Omet’s 13th consecutive showing in this leading trade show series. And as with all the previous shows, Omet’s booth #3123 will be packed with innovative new products for visitors to see. Omet will debut its XFlex X4 press with 10 colors in an expanded 17” version. This press features Omet’s innovative Vision fully automatic register control system, along with twin servo drives on each printing unit. The extended 17” width for the XFlex X4 family is especially targeted for the American market, where printers can easily accommodate the printing of short and medium runs of labels, along with longer runs of flexible packaging. Alongside the XFlex X4 press, Omet will also be running a 21” XFlex X6 press, demonstrating its modularity, flexibility, and multi-process capabilities. It can now be configured as a highly efficient combination printing platform incorporating flexo, offset, screen, gravure, hot/cold foil (including platen hot foil/embossing), and laminations. The XFlex X6 press uses lightweight print sleeves and also features Omet’s Vision register control system. At the show, this press will alternate between printing shrink sleeves and self-adhesive materials to show its versatility and highly consistent printing performance. Omet introduced its JetPlus combination inkjet press at drupa 2012 with the support of its partner Domino. After extensive beta testing, the JetPlus inkjet system is now available for printers around the world. JetPlus is especially suited for high-quality label and package printing with the capability to print on a variety of different substrates. Available in print widths of 13”, 17”, and 21”, the JetPlus can run at speeds up to 164 ft./min. and accommodates water-based and UV inks. An additional feature available for JetPlus is the ability to incorporate Omet’s innovative Mono-Twin Cut “Tool-Free” variable die cutting system, which further enhances its overall productivity for short- and medium-length production runs. Just snap on the magnetic flexible die (for any label shape or dimension) to the single magnetic cylinder and it’s ready to go. Omet has also expanded its Varyflex product line to incorporate a 33” wide version. In addition, Omet will soon be releasing sleeved offset print stations for the Varyflex platform. Omet is driven by engineering excellence. Experience it firsthand at Labelexpo Americas. Mark Andy Inc., a global leader in label and package printing equipment, support, supplies and consumables, today announced that an investment group formed by P.J. Desai, Mark Andy's former Chief Executive Officer, and the current management team has completed the purchase of Mark Andy, Inc. from American Industrial Partners Capital Fund IV, L.P. (AIP). AIP will continue as a minority investor in Mark Andy along with Graycliff Partners, an independent investment firm focused on middle market investments. As a pioneer in the label printing equipment space, Mark Andy has led the industry with award-winning breakthroughs in flexo printing technology and workflows, as well as a total solutions approach to driving profitability for converters around the world. Mark Andy has seen considerable growth in recent years with a focus on innovation and is poised to capitalize on the industry’s burgeoning shift to digital inkjet printing in the form of its recently launched inline hybrid solution, the Mark Andy Digital Series. 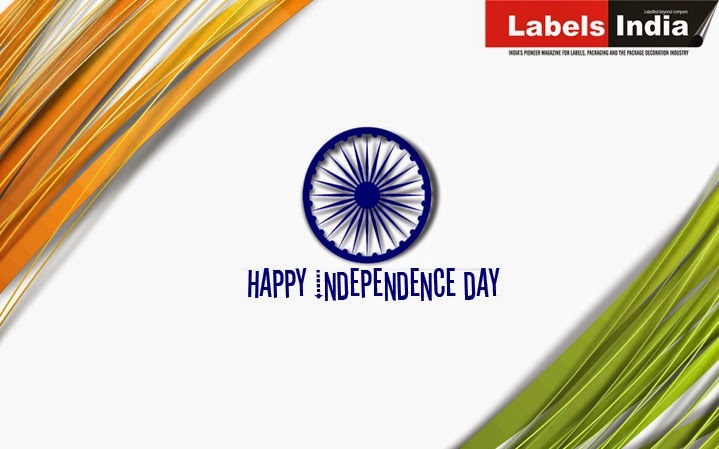 "This was an outstanding opportunity to purchase an established and innovative company with a strong core business of equipment, consumable products and services for the label market, as well as several exciting new products in the pipeline, including our new Digital Series inkjet press," Mr. Desai said. "Combined, there are over 10,000 Mark Andy and Rotoflex machines currently installed with a replacement value of over $1 billion. Together with our excellent management team, we are committed to growing Mark Andy's already leading market position." Mr. Desai served as Mark Andy's Chief Executive Officer from 2012-2014. Prior to that, he was President and CEO of Abencs, an engineering and construction company, and MECS, Inc., a global leader in the design of sulfuric acid plants and related high performance products. Mark Andy will be exhibiting at Labelexpo Americas, September 9-11, 2014, where the new Digital Series will be debuted to a global audience. In addition, the company continues its global market strategy and mission to be the supplier of choice throughout the product life cycle, offering high quality, innovative solutions that drive customer profitability. The company's stand at the 2014 show will focus on displaying Mark Andy’s Total Solutions Partner approach, offering complete workflow solutions to advance the converters’ business. OKI Data Americas announces availability of the new C711DW and HS711DLF – a high-quality digital color label printer and finishing system for short-run commercial applications. Together, these devices create full color finished labels on-demand and with ease, incorporating digital die cutting and film lamination to deliver a complete, cost-effective, digital label printing production system. With this extension of its web printing platform, OKI Data continues to introduce game-changing commercial printing solutions to the marketplace. The C711DW utilizes award-winning OKI LED printing technology which is renowned for its print quality and reliability, in addition to OKI label management software from HYBRID Software as a front-end solution. It prints at up to 25 feet per minute in continuous feed mode, and handles a variety of media including paper, polyester, vinyl and adhesive-backed substrates at widths of 6.5 to 8.5 inches and a maximum outside roll diameter of 14 inches on a three inch core to meet a wide array of label printing needs. This complete, short-run label printing system is offered at a fraction of the cost of other digital presses. The C711DW is part of the impressive OKI proColor Series – a line of high impact digital color printers that serves the graphic arts, production, specialty printing and imaging technologies industries. The OKI proColor Series of commercial grade digital color printers delivers professional, production-quality color output and color accuracy powered by industry leading raster image processing (RIP) solutions from Global Graphics Software and EFI on select models. 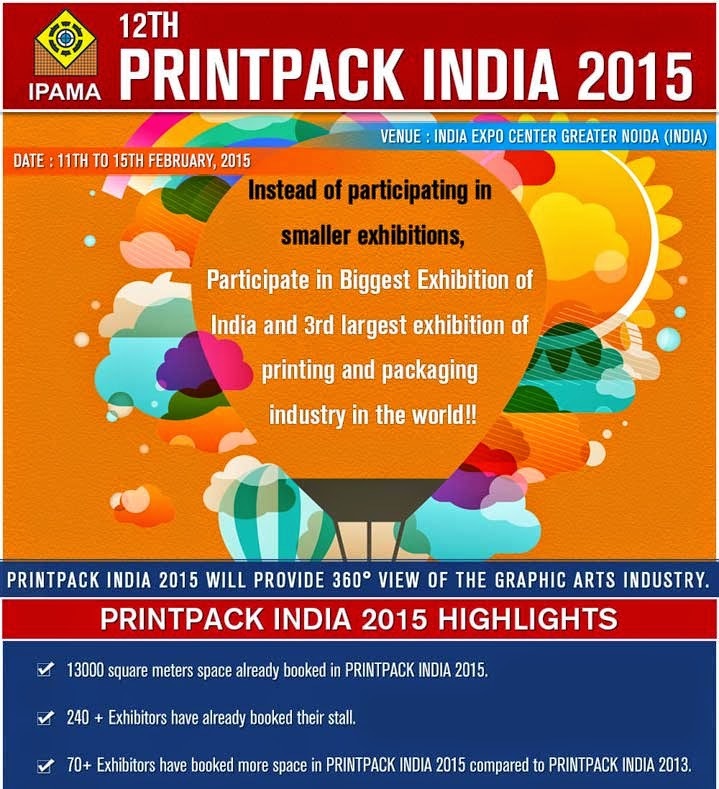 All are revolutionizing digital printing within their respective product categories. OKI Data products are built on parent company OKI Data Corporation’s history of leadership and innovation. Most of OKI Data’s color printing solutions feature Single Pass Color as well as proprietary digital LED and HD Color technologies. These technologies allow OKI Data Americas to manufacture products that require fewer moving parts for increased reliability and outstanding color output quality. The full acquisition of Gallus Holding AG as resolved by the Management Board of Heidelberger Druckmaschinen AG (Heidelberg) in June 2014 has now been completed. As part of the transaction Ferd. Rüesch AG has been granted 23,000,000 new Heidelberg shares at a face value of € 2.70. By issuing the new shares, the share capital of the company will be increased by € 58,880,000.00 to € 659,040,714.24, divided into 257,437,779 no-par value bearer shares. The complete takeover of Gallus Holding AG accelerates the development and usage of digital products from Heidelberg in the growing labels sector. Heidelberg and Gallus will be unveiling a new digital printing system for the label market that incorporates Fujifilm technology at an international customer event in St. Gallen at the end of September. This solution is designed to meet the growing demand for a cost-effective production of short runs and customized labels. With this move, Heidelberg is consistently implementing efforts to expand its digital business based on partnerships with renowned manufacturers such as Ricoh and Fujifilm. By acquiring approximately 9 percent of Heidelberg shares in consideration for the Gallus stake, Ferdinand Rüesch will also become a new strategic anchor investor of the company. At the same time, Heidelberg is strengthening its capital structure, which will support the company's strategic reorientation. 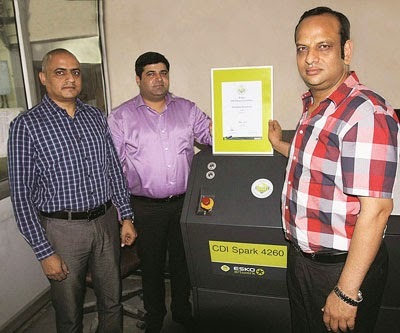 Creative Graphics, one of India’s biggest and fastest growing flexo prepress and trade platemaking businesses based in Noida in the Delhi National Capital Region, has entered the top rung of flexo platemaking. The company’s drive for technological excellence culminated with its recent absorption of the Esko HD Flexo technology and ultimately, Esko HD Flexo Certification. On Friday 25 July 2014, Mr. Srihari Rao, Sales Director of Esko India, presented the HD Flexo Certification personally to Creative Graphics proprietor Mr. Deepanshu Goel at the company’s premises in Noida. Mr. Deepanshu Goel explains that his company is a long-time user of Esko packaging software including DeskPack, Plato and FlexRip, which successfully expanded its operations in the last two years with the addition of a large format CDI Spark 4260 output device for producing the highest quality flexographic plates. 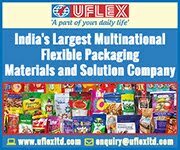 The company is a leading flexo plate supplier to the copybook, corrugated carton, flexible packaging and label industry in the country and with a second plant in Hyderabad, the only multi-location flexographic trade operation in the country. 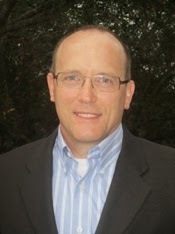 Mark Andy Inc. is proud to announce the appointment of Jaren Marler as Chief Technology Officer. Marler is an accomplished leader with impressive credentials as an innovator for inkjet print heads and web handling and brings to Mark Andy extensive digital printing experience from industry leading organizations. This promotion supports Mark Andy’s continued advancement of their Digital Series technology, which has brought a progressive, hybrid digital ink jet printing platform to narrow web label and packaging markets. Prior to joining Mark Andy, Marler and his team developed and commercialized the world’s fastest digital print technology for commercial printing markets. He enters his new position equipped with strong leadership qualities, a passion for creativity, and an eye for innovation. His leadership has already been an influential asset to Mark Andy’s engineering efforts demonstrating results with the development and launch of the Mark Andy Digital Series, the most productive digital solution available to label and package printers. 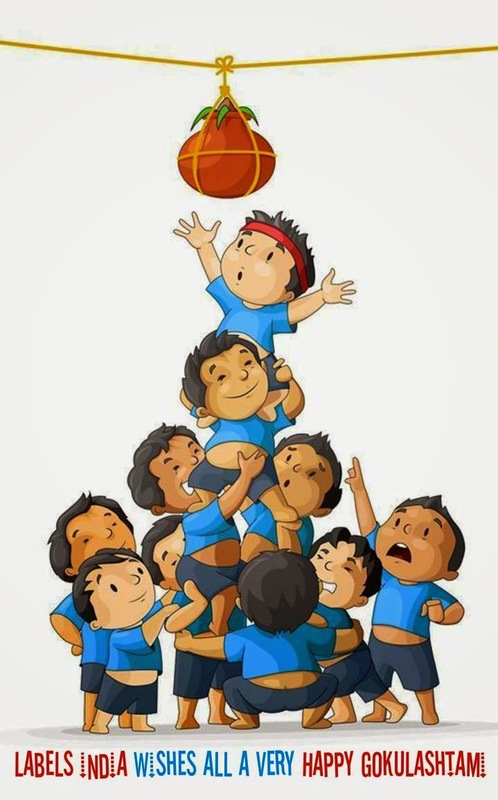 Xante was recently issued a Federal Patent (No. 8,743,421) for their Right-On Spot Color Matching Technology nested within the iQueue workflow software. Right-On utilizes a unique visual comparison that allows users to match critical spot colors with amazing accuracy, even when printing on colored stocks. Right-On not only allows for more accurate PANTONE® color matches, but Right-On takes this a step further and allows for accurate matching of virtually any spot color. Other tools within iQueue's intuitive workflow interface include: Job Cost Estimating, Full Imposition, Variable Data with Intelligent Mail Barcodes, QR Code Generator, Barcode Generator, Spot Color Creator and much more. These powerful tools give print shops a competitive edge by getting files on press faster, on a wider range of stocks with quick turnaround and increased profits. Xante's engineering team is dedicated to creating products and software with the customer in mind. Xante has earned several other patents that improve image quality and stability. Xante has worked hard over the years through intense research and development to create and patent these features that ultimately benefits their customers. GPA proudly announces the addition of Mirri and MirriNor Boards to their collection of specialty substrates for offset presses. These substrates have a high quality metallic film surface engineered for superior printability, which adds dimension and value to any project for truly stunning printed pieces. Now, by just using your existing inks, you can create a shimmering palette of colors for endless creative special effects. The 12 pt. Silver and Gold Mirri Boards have a super glossy mirror finish, and are laminated to a premium cast-coated board. The 28 pt. Silver MirriNor Board is backed with the patented “T-Flute” micro-fluted corrugated board to provide robust strength at a light weight. Mirri and MirriNor boards add life and radiance to any project – they are excellent for creating packaging, tags, invitations, greeting cards, certificates, menus, business cards, catalog covers, tickets, and more. MirriNor is a unique substrate with no equal in the marketplace; its superior strength makes it especially suited for premium packaging and dazzling display graphics that get noticed. To provide maximum application versatility, these premium boards are compatible with a variety of finishing processes including laminating, die cutting, scoring, gluing, folding, UV coating, embossing and debossing. Mirri Boards are stocked in 12 pt. silver and gold colors in 39.3” x 27.5” sheets, and MirriNor is available in 28 pt. silver in a 39.3” x 27.5” sheet size. These new items complement GPA’s existing offering of Mirri Boards for HP Indigo presses to provide a broad range of solutions for a variety of different pressrooms. Additional colors and sizes are also available; contact GPA for more options. Flint Group is a dedicated, premier supplier to the printing and packaging industries. With products ranging from sleeves, adapters and flexographic printing plates to a comprehensive portfolio of narrow web label and packaging inks, Flint Group has the solution to meet today’s challenges in the world of label printing. Flint Group Flexographic Products and Flint Group Narrow Web will jointly display their most recent innovations for you to experience at the upcoming Labelexpo Americas September 9 - 11 in Rosemont, IL. Come talk to an expert – Flint Group will help you make a success of your most challenging print application! nyloflex ACE UP Digital and nyloflexACE Digital printing plates exhibiting long run life and excellent stability for printing with water, solvent or UV flexo inks. rotec High Speed Sleeve with a specialized design for high speed press performance while reducing bounce-induced skipping – the perfect choice for your most difficult graphics. rotec Label Sleeve with increased dimensional stability and excellent edge stability for all of your narrow and mid web printing requirements. FlexoToolbox App for iPhone and Android devices, an interactive collection of tools to assist printers with flexo prepress operations, plate making and process control. With a myriad of other helpful functions, plate making will never be the same! EkoCure products to include metallic inks, UV Shrink Whites, UV Rotary Screen colors, EkoCure Ivory and Ebony, and a wide range of coatings and adhesives. EkoCure Ancora, UV flexo low migration inks for narrow web package printing. While UV LED may be seen as technology of the future, Flint Group encourages printers to learn why this is truly a game changing development for all printers. CombiWhite X2, a new range of rotary screen opaque white inks, addressing a wide range of requirements identified by leading printers, designed for the ultimate combination print. 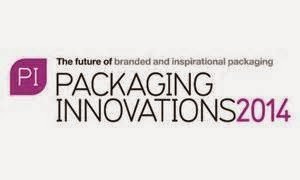 Water-based film inks and new low migration technologies, suitable for flexible packaging applications to enable printers to push the boundaries and enter into new markets! Come to the Speakers’ Corner in the Flint Group stand to hear presentations on the latest technologies and sustainable solutions for narrow web printing. Topics will cover UV LED, food packaging, sustainability, and productivity improvements for printers, as well as prepress plate makers. During Flint Group’s “Ask the Experts” sessions, a panel of professionals with expertise across the inks, plates and sleeves technologies will hold open conversations covering key topics of interest. Visitors are encouraged to engage in open discussions with the panelists. For the widest selection of inks and coatings, plates and sleeves for the narrow web market, visit Flint Group at stand # 840, where you’re sure to be inspired by innovative ideas and educational tools designed to guide you on your journey into the growing markets and technologies of the future! Tresu Group, the global supplier of flexo technology, exhibits its iCoat system for digital sheet-fed folding carton printing lines at the HP Booth (No. 1913), at Graph Expo /CPP 2014 (28 September - 1 October, Chicago, USA). The Tresu iCoat coating system has been adapted especially for HP Indigo 10000 and HP Indigo 30000 presses. Together, the Tresu and HP Indigo systems offer a complete folding carton production line - for printing, full surface or selective coating and stacking. Offset-equivalent finishing effects are possible, with industry-standard UV or aqueous varnishes. Flint Group Narrow Web is introducing a new range of UV flexo adhesive technologies for UV LED curing under the EkoCure brand. These adhesives will be the first commercially available products designed specifically for UV LED curing. EkoCure products are developed using specially selected raw materials that match the narrow and targeted wavelength area that is typical for UV LED lamp output. Expanded capability to run heat sensitive materials with less heat management costs. UV LED lamps are ozone and mercury free (improved worker and environmental safety). Flint Group has partnered with industry leading suppliers and has been able to develop inks, coatings and now adhesives for UV LED curing – all which have been validated for our industry under commercial production conditions. Flint Group can also develop the UV LED adhesive to fit your needs. Printers who want to align themselves with the future of narrow web, and with award winning innovative technology, should align themselves with UV LED technology and Flint Group. Flint Group’s EkoCure UV flexo and screen inks are the first-ever narrow web printing inks developed for use in combination printing. These inks perform to the highest standards and bring economical and ecological benefits to the market. First launched in the U.S. in 2012, these inks are now globally available through Flint Group’s extensive distribution network. EkoCure technology and the UV LED process is a true game-changing innovation that will lead our industry into the future. EkoCure products are available in a complete range of UV flexo inks, from all base colours in the Pantone base range, as well as UV rotary screen whites designed for combination printing. The EkoCure ink range also offers a complete portfolio of metallic inks, and varnishes with more exciting developments on the horizon. GMG GmbH, the leading developer and supplier of high-end color management software solutions, is celebrating 30 years shaping the color management landscape – three decades “converting, standardizing, reproducing, maximizing, controlling, sharing and evolving color,” in the words of co-owner Robert Weihing. It was in 1984 that Robert and brother Joerg (now fellow co-owners) joined the business founded by their father Ewald Weihing, initially to supply sign-cutting plotters. In 1989 the company expanded into inkjet, buying one of the first then-revolutionary IRIS 3047 A0-format inkjet printers, and in this purchase lay the seeds of the color management business. “Our father had the foresight to see the potential impact of the IRIS on the signmaking industry,” recalls Robert. “Signmaking was very labour- and materials-intensive, because you needed a separate foil for each layer, but the IRIS could print a sign in a single pass. One day, however, we printed an image from a slide and noticed that many of the browns printed as green. That was when we realized we had to learn about color management!” Four years later, the company’s first product, GMG ColorProof, a proofing and color management solution for the packaging sector, found a ready market for its automation of consistent color reproduction, especially of spot colors. ColorProof went on to become an industry classic and, like other GMG solutions such as ColorServer and SmartProfiler, can rightly claim to have redefined the possibilities and extended the boundaries of color in the graphic arts. Today the company offers a suite of 15 world-class color management products, including a number of award-winners, and has over 11,000 solutions installed worldwide in a wide range of customers and for a wide variety of applications, from advertising agencies and prepress houses to offset, flexo, gravure, digital and wide-format printers. Robert and Joerg Weihing are especially proud of GMG’s record of continuing to keep pace with (and often anticipate) changing trends in graphic arts and develop successful solutions for customers. Says Robert: “When we started, proofing was a kind of proprietary world ruled over by the likes of Cromalin and Matchprint. The IRIS began to change that. Since 2000 we’ve seen the transition from expensive, slow continuous-inkjet hardware to fast, much cheaper drop-on-demand technologies. The 2014 International Specialty Papers Conference, October 23-25, 2014, in Shanghai, China, covers all aspects of one of the pulp and paper industry’s most dynamic and rapidly growing markets. Featuring a program jointly organized by TAPPI and China Technical Association of the Paper Industry (CTAPI) the conference provides access to potential Chinese customers, business intelligence for the Chinese market and the latest technical innovations originating in China and from around the world. The conference is targeted toward Asian specialty paper mill and corporate staff (technical managers, product development, and business leaders), suppliers and consultants and students interested in specialty papers. The two-day technical program encompasses a wide range of topics including: outlook for and market trends in China’s specialty papers industry, opportunities and risks in future markets, the latest in manufacturing technology, developments in wet end chemistry, bio-based latex binders and other developments in coating for specialty grades. The conference includes a tour of APP's Gold Huasheng Paper Co. mill which is located in Suzhou and produces packaging, specialty and communication papers. Xeikon NV, an innovator in digital colour printing technology, announced the delivery and installation of its high-performing Xeikon 8600 digital colour press at Bassett Direct, headquartered in Richmond Hill, Ontario. Bassett Direct is one of the most well-known and experienced providers of direct marketing services and variable-data printing programs in Canada. The installation coincides with Bassett's 20th Anniversary celebrations - and will be used to help grow its successful one-to-one marketing services. Bassett's customer base spans a variety of industries throughout Canada. 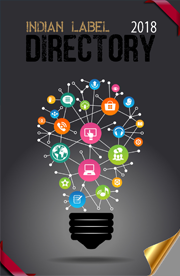 They range from banks and insurance companies to non-profit organizations and advertising agencies. Although each partnership is unique, they all rely on Bassett for leadership, innovation, counsel and valuable input on their specific direct marketing projects. "Our greatest strength is our team's total commitment to customer service," says Rich Bassett, President and Owner of Bassett Direct. 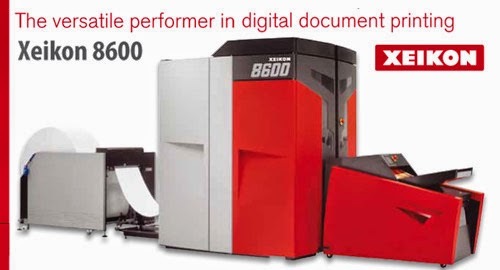 Adding to Bassett's substantial arsenal of Xeikon equipment, the versatile and powerful 8600 is a leader in its sector in terms of quality and productivity. Customers across the globe depend on it for a wide range of applications in an array of standard and non-standard formats, boasting nearly unlimited image lengths. Mr. Bassett adds, "The Xeikon 8600 has given us the ability to do something in our shop that very few companies in North America are doing. The press is a powerful tool for the growth of our variable colour, one-to-one marketing applications. It's the right technology to produce the volume and quality our customers expect. In addition, we can take advantage of Xeikon's ability to handle unique format sizes and substrates." The Xeikon 8600 prints at 1200x3600 dpi resolution and is capable of handling monthly duty cycles of up to 6 million pages. The press prints on both sides of the substrate simultaneously and can handle web widths of up to 20.2". The press is also capable of handling media weights from 27-lb text all the way up to 350-gsm/130-lb. cover. "We're proud to partner with a leader like Bassett Direct," said Todd Blumsack, Vice President of Sales and Marketing at Xeikon America, Inc. "They've been at the top of their game for two decades and their innovative use of Xeikon technology is validation of our team's position in the market." One hundred industry professionals gather at Nilpeter’s Technology Center in Cincinnati, Ohio, on 31 July for an in depth overview of the Expanded Gamut process. Guests were shared the journey Nilpeter and its partners have taken to bring this technology to narrow-web converters. After presentations from Actega, Harper, Tesa, Flexografix, and Esko, visitors witnessed the entire process come to life on the Nilpeter FB-3 servo driven flexo press. The FB-3 offers the highest level of automation in its class. With total job save capabilities and automated plate cylinder positioning, the FB-3 can recall all operating parameters of previous production runs. This is a perfect fit for the Expanded Gamut fixed color set process. The primary seven colours stay in the press to build spot colour and process graphics thus reducing wash-ups, make-ready, and downtime. A simple plate change and job recall allows the press to be up and running quicker, more repeatedly with higher profitability. You can witness the process in action at LabelExpo USA, at Nilpeter’s booth in Hall B, booth nos. 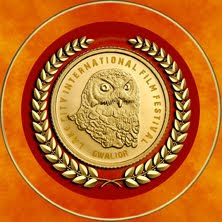 3105 & 3205, September 9-11 at Donald E. Stephens Convention Center in Rosemont, IL. MPS today announced their recognition of three customers, Doga Etiket, Pragati Pack, and Arca Etichette, all award winners at the recent 34th FINAT label awards competition in the marketing/end-uses group for labels printed on MPS flexo presses. In addition, nine labels also printed on MPS flexo presses received highly commended awards. The award ceremony was held during the Finat Congress 2014 program in Monte Carlo, Monaco. Turkish printer Doga Etiket was a winner in the cosmetics category for their “Elsève Extraordinary Oil” label, printed using flexo and screen printing in 5 colours plus hot gold foiling and a varnish. 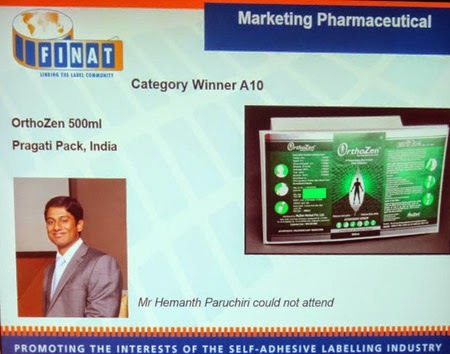 Indian printer Pragati Pack won the pharmaceutical category for their “OrthoZen” label printed on a metallised substrate using flexography and screen printing in 4 colours, which includes an opaque white background. The winner of the booklets category was Italian printer Arca Etichette for their “Pivetti Impasta & Vinci” label printed in four colour process colours using flexography for the total label including the inside pages. The nine highly commended awards in the marketing/end-uses group were presented to Pragati Pack (two awards), Doga Etiket (two awards), Skanem Willich, Germark S.A. and Label Apeel. Uniflex, and Doga Etiket also received highly commended awards in the printing processes group. All labels were printed on MPS flexo presses. 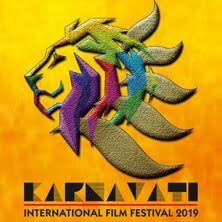 The total number of entries for this year’s competition was 241 with 49 companies from 25 countries submitting samples for the judges to examine. The jury panel was led by acting chairman Mike Fairley with the remaining panel of Rik Olthof from Cartils, a well-known Dutch design agency, Bernard Plat, past president of the French label association UNFEA, Murat Sipahioglu from Turkey, Steve Wood from the UK, and this year’s media judge Bill Bruce. Enfocus today announces PitStop FontFix, the new Adobe Acrobat Pro and Standard plug-in that checks and replaces fonts missing from PDF files. PDF is an extremely popular file format used by a wide range of markets worldwide, including graphic arts, government, corporate, office, financial and medical. To celebrate the release, Enfocus is making the Font Fix solution available to customers for free. To get their copy, customers simply share their thoughts on social media. As PDF files have grown in popularity, so has the problem of missing fonts. Users in all of these markets experience the challenge that comes from managing a PDF file that is missing correct fonts. Visit the Enfocus PitStop Font Fix link (www.enfocus.com/en/products/pitstop-font-fix ) and click the “Get It Now” button. Write a personal message or use the Enfocus' suggested post: “I fixed fonts in my PDF file with PitStop Font Fix!” Then share the update on social media networks (Facebook, Twitter, LinkedIn or Google+, xing en vkontakte). Download and install the plugin (Macintosh and Windows) into Adobe Acrobat Pro or Adobe Acrobat Standard. Once users have installed the plug-in and registered for a free Monotype Baseline account, they can embed as many local system fonts as they want. By creating an account on the Monotype Baseline platform, users get access to a massive font library. This Monotype library holds over 60,000 fonts of various types, including Adobe Type 1 fonts. As a start, users receive 10 free tokens enabling them to embed 10 fonts absolutely free of charge. After that, additional fonts can be purchased via the Monotype website at $0.39 per font. This exceptional promotional offer is valid until the last day of this year. The stunning new interface is completely redesigned with the user in mind. The first thing operators notice about the new system is ease of navigation in the modern UI. It’s more intuitive, perfectly organized, and a pleasure to view. During the design phase, we conducted exhaustive user tests to ensure that it met our goals, which were to deliver a simpler and more effective system to our customers. The new Nyscan is also designed to provide a consistent user experience across all of our vision products. This assures cross-functional users can more easily adapt to our technology whether it be 100% Print Inspection, Web Viewing, or Missing Label Detection. Features such as touch screen compatibility, sizable windows, and flexible screen resolution are but a few of the benefits you will notice.